This week, we're talking with Shelly Crespo, about the Community Festival of Nativities. A joint efort by three local churches, the event brings together 950 individual nativity scenes, from 47 different countries. One of the highlights of this year's festival is a nativity that includes 2000 pieces; Crespo says this is the first time all of them have been on display. The event also includes a piece by guest artist Julia Fish Thompson. 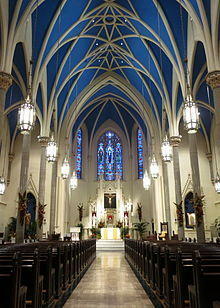 There's also a full schedule of musical performances -- including the Peoria Area Civic Chorale, church choirs, and high school madrigal singers. Crespo talks about the purpose of the event, and about the work that takes place behind the scenes to register and set up all 950 nativities over the course of three days. 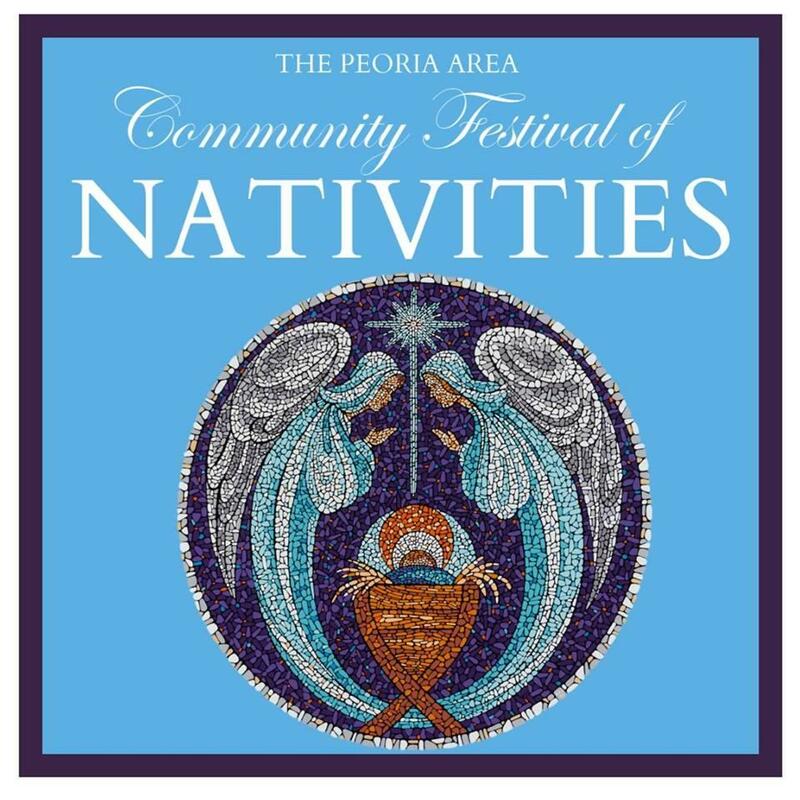 The Community Festival of Nativities continues Friday, Saturday and Sunday at 3700 West Reservoir Boulevard in Peoria. Shelly Crespo is with us to talk about this weekend's Community Festival of Nativities. This week, we're talking with the Peoria Riverfront Museum's Bill Conger, about four of their current exhibits. 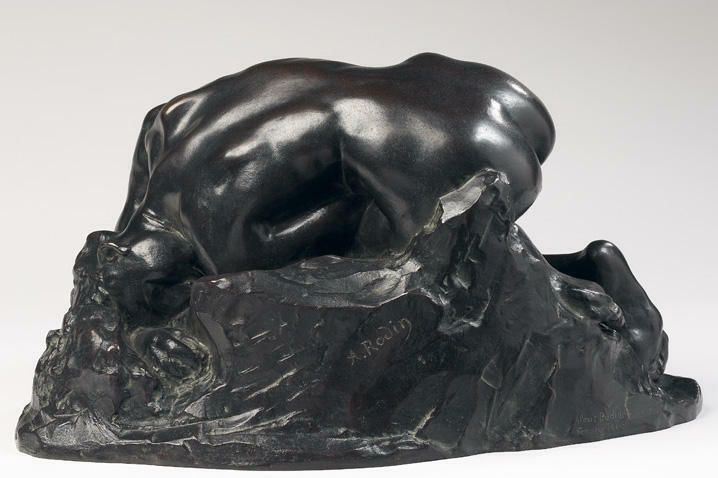 Those exhibits include a tour through the history of bronze sculptures; a private collection of Tiffany lamps; production art from the golden age of Disney animated movies; and a celebration of Peoria Players Theatre. This week, our guest is Dr. Cory Ganschow, Director of Choral Activities at Bradley University. The Bradley Community Chorus and Bradley Symphony Orchestra will present a program that includes Mozart's Solemn Vespers and Lux Aeterna by American composer Morten Lauridsen. 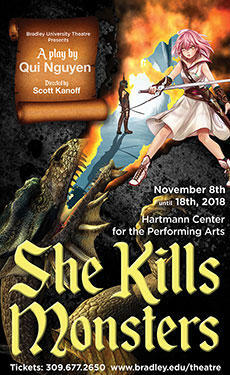 Bradley University Theatre Blends Real and Fantasy Worlds With "She Kills Monsters"
This week, we're talking with Scott Kanoff, about Bradley University Theatre's production of "She Kills Monsters." The play tells the story of a young woman who delves into the world of the Dungeons & Dragons game in an attempt to better understand her late sister.